Havven, a decentralised payment network and stablecoin is launching nUSD, a decentralised stablecoin on the Ethereum blockchain, on June 11. The stablecoin space is promising to be one of the most hotly contested cryptocurrency spaces in 2018, with Havven establishing an early mover advantage, having successfully completed a $30m token sale in February this year. The high market cap and clear use-case of centralised stablecoins has encouraged a variety of projects to add the benefits of decentralisation to the utility of stablecoins. A centralised stablecoin is at risk of seizure or interference, and fails to make full use of the benefits of blockchain technology. Several stablecoin projects have arisen in the last few months, employing a variety of mechanisms to create stability without reverting to central ownership. nUSD, which keeps a stable value relative to the US dollar, is the first nomin, the stablecoin in the Havven system. By the end of 2018, Havven anticipates launching nomins pegged to a variety of global currencies, including nEUR, nAUD, nYEN, and nKRW. Havven uses a dual-token mechanism to create a stablecoin that is decentralised, asset-backed, and scalable. Nomins are backed by the collateral token in the Havven system, havvens, which are locked up and collateralised to issue nomins against. 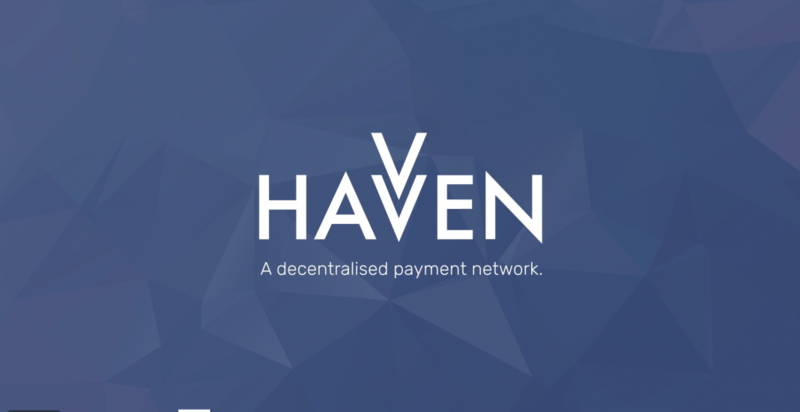 Havvens derive their value from fees that are taken from all nomin transactions, which are distributed to all havven holders who collateralise their havvens and help maintain nomin price stability. Havven has previously announced partnerships with a variety of projects that will use nomins within their systems, including MARKET Protocol, intimate.io, Swapy, and several more. Havven boasts a selection of leading advisors, including Matthew di Ferrante, a security Engineer at the Ethereum Foundation, and Walter de Brouwer, founder of doc.ai and former Entrepreneur in Residence at the University of Cambridge. Havven is also backed by some of the world’s most prominent cryptocurrency funds and backers, such as BlockTower Capital, BlockAsset, and GBIC.